Peter Phibbs is a geographer, planner and social economist with extensive experience in program evaluation, financial analysis and cost benefit analysis. He has undertaken economic and financial appraisals of a diverse range of projects including numerous housing programs and projects. Peter has over twenty years experience undertaking housing research. Currently he is the Professor of Urban and Regional Planning and Policy at the University of Sydney and also Director of the Henry Halloran Trust at the same University. His recent housing research has been on the development of the affordable housing strategies in Australia. He has a particular interest in the risks associated with lobbyists and rent-seekers on the integrity of these strategies. He is also been researching the connections between planning systems and housing markets. 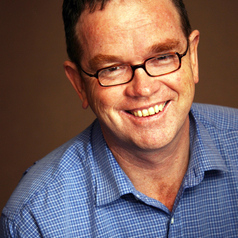 He has been teaching urban planners in Sydney for over 30 years. One of his key teaching interests is to ensure urban planners have a good grasp of the fundamentals of property economics.